Welcome to Doginhaus! Imagine how happy your best friend will feel when they arrive for their visit. Our 8,000 sq ft building showcases the following services and amenities. 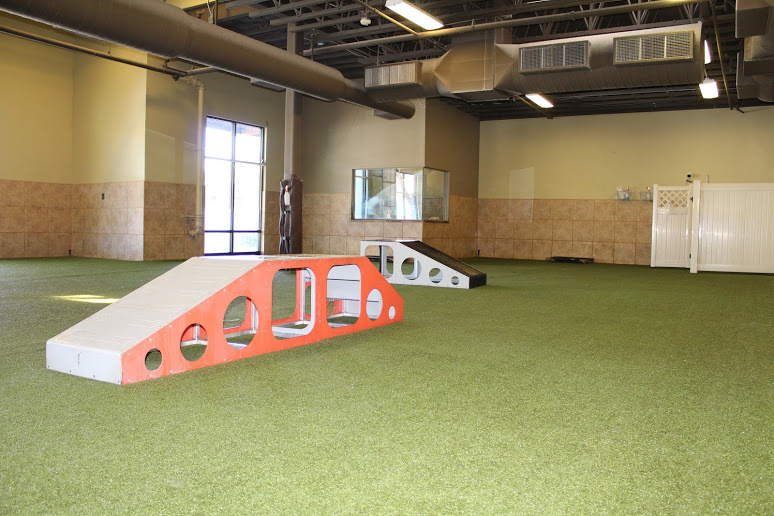 Playground – Our 6,000 square foot indoor/outdoor playground facility is specifically designed with K9 grass, an artificial turf which is safe and protects paws against rough surfaces. 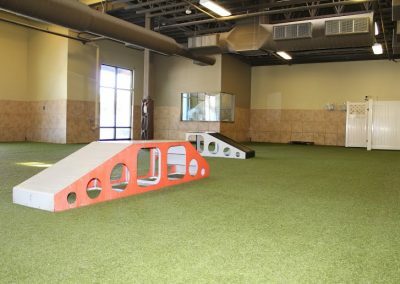 Large windows and skylights highlight the natural lighting in our indoor playground. Our famous Park City powder days create a snowy playground during our winter months. Both play areas are carefully supervised at all time by our handlers who provide lots of love and attention. Lodging – Great care and research were taken in designing our non-traditional lodging area. 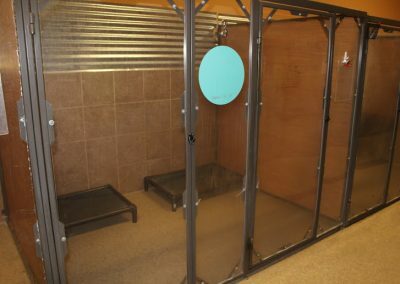 Our rooms are made of sustainable, scratch resistant material and carefully designed to provide a private area for each dog to relax after a hard day of play. 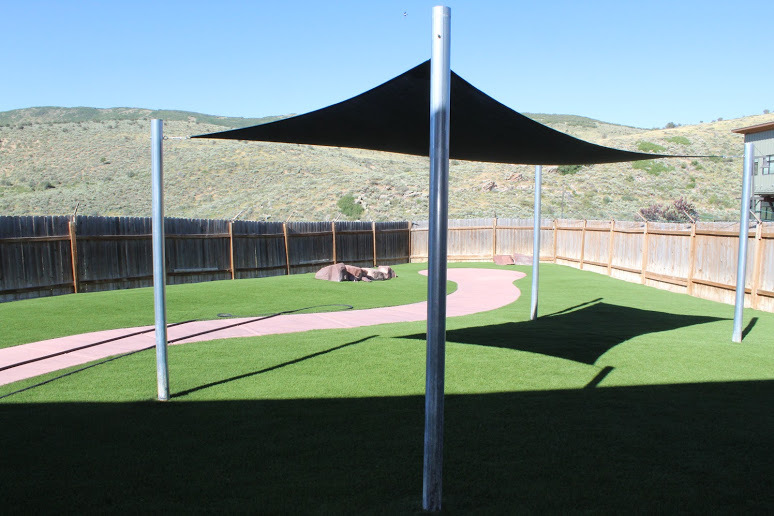 We offer a variety of sizes to accommodate each family’s needs. 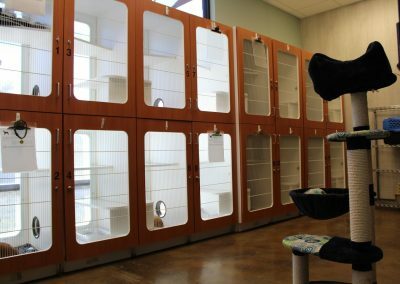 Cattery – Our cattery is the top of the line! 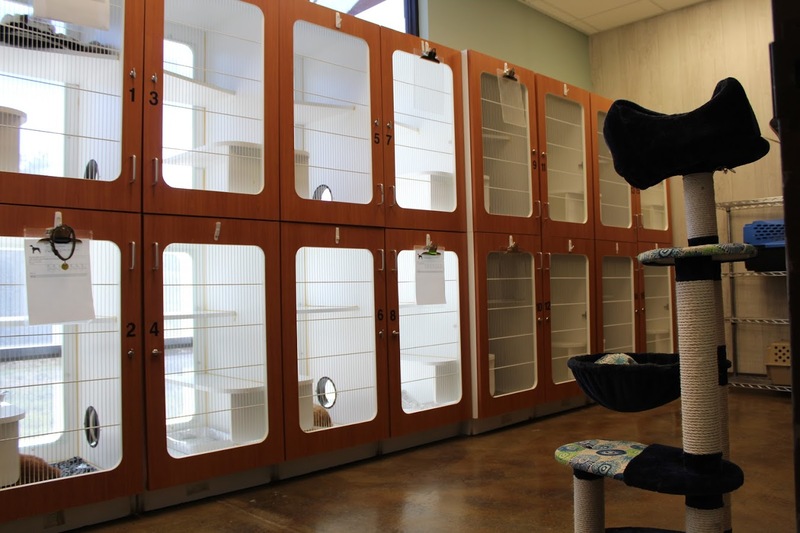 The room has large floor to ceiling windows to the outside–great for curious kitties! A scratching post and toys are provided for personal playtime. Spa – A good wash–a nice cut! Our spa offers professional services including a wide range of choices from blueberry facials, de-shedding treatments or a basic bath and brush! Dirty dogs are welcome! Or for the adventurous, our self-wash offers an alternative choice and includes a stainless steel bathing tub, professional dryer, Doginhaus shampoos and a selection of brushes and combs. Boutique – Collars, leashes, treats, beds, and food! These are just a few of the many items we have hand selected for our retail boutique. Quality, durability and functionality are the key factors in choosing products that ensure a lasting experience. Also, many of the products we highlight use recycled, sustainable materials which are friendly to the environment. Our food features a variety of choices based upon each pets needs from their age, life stage and overall health.